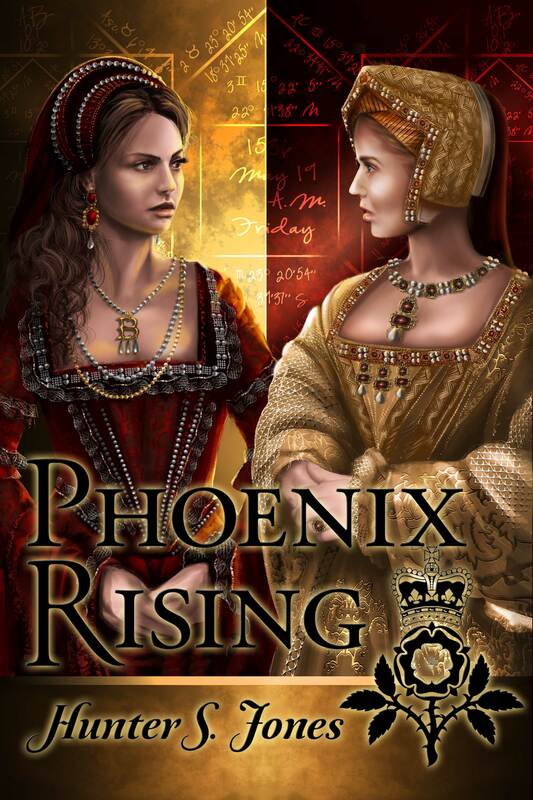 I’m excited to take part today in a shoutout for PHOENIX RISING by Hunter S. Jones. If you know me, you know I am a Tudor fan and I LOVE books about Henry’s wives. I haven’t read this one yet, but it’s on my tbr list! 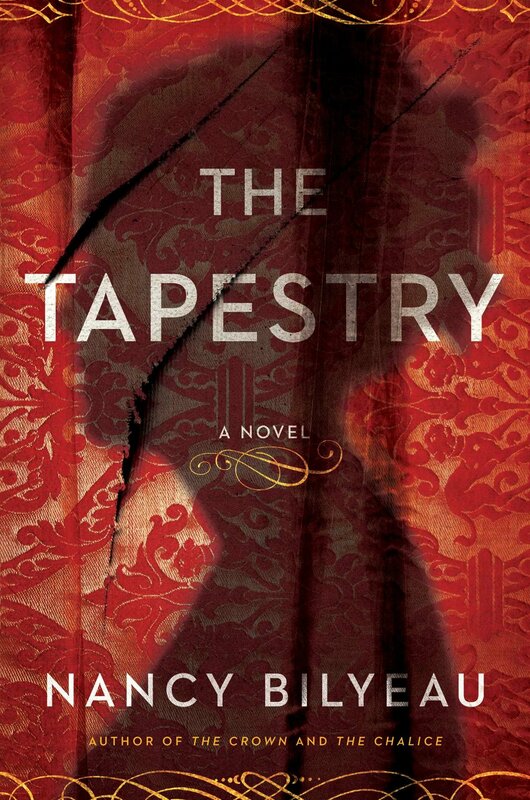 I recently received a review copy of THE TAPESTRY through Touchstone Publicity and Simon and Schuster. This is the third novel in a trilogy, centering on tapestry seamstress Joanna Stafford in the time of King Henry VIII. I chose this title because, if you know me you know this already, I LOVE Tudor stories and that time in British history! 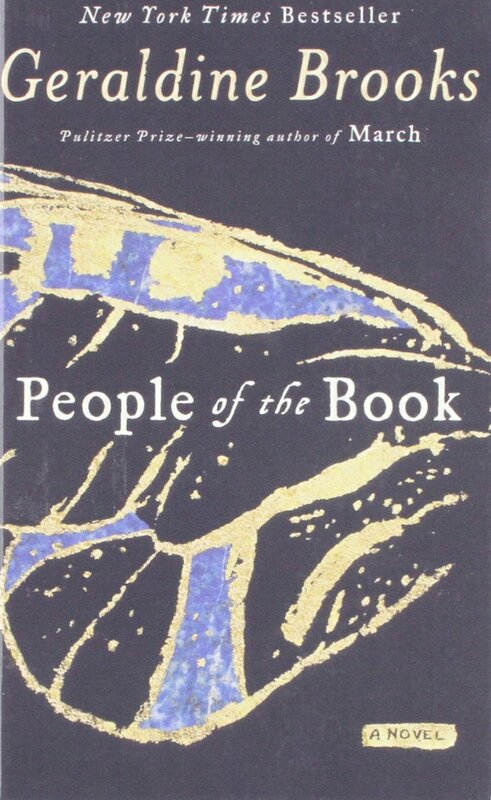 Joanna Stafford is a fascinating heroine: former novice, highly intelligent, left at the altar, gifted creator of tapestries, target of a plot to kill her. Joanna is called to the court of King Henry VIII to create some tapestries for him and she has barely arrived when someone tries to kill her. Throughout her time at court – actually all throughout this book – someone is following her, watching her, trying to take her down. She and the man sent to guard her try to figure it out (in time!). Meanwhile, her very close friend is none other than Katherine Howard. The story starts with Henry being married to Anne of Cleves, but I think most of us know what is going to happen. Joanna tries to protect her friend and keep her from getting entangled with this most powerful man and ruler. All is all, this was a great book. 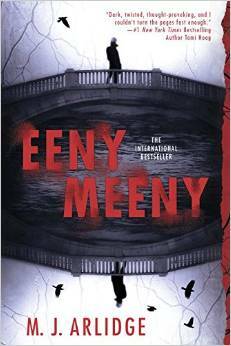 The writing is superb and the story moves along – in some spots faster than others – it kept my interest throughout. This title can be read as a stand alone – though I will admit to wanting to get the first two novels, too, as I enjoyed this one so much. Thank you again for my copy! You can find this book online or in stores near you. I found this little nugget of a mystery on Net Galley – mysterious clues, missing treasure, deceased family member who was estranged. It had all the elements of a good mystery in my opinion. In MORTOM, Andy and his twin sister Kate find out that a cousin they haven’t been in touch with for years has died, and he has left everything to Andy. This is odd, since they weren’t close, but “everything” includes a key and a scavenger hunt to find the valuables. Deceased cousin Craig was particularly fond of crosswords and other puzzles and he’s created a complicated set of clues and information to guide Andy. While Kate wants Andy to leave well enough alone, Andy is almost obsessed with finding out what happened to Craig and why and what he was hiding. 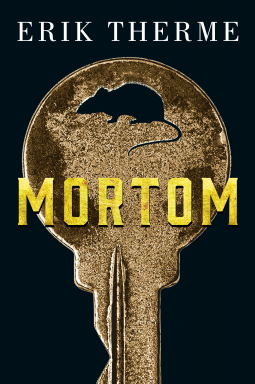 The small town of Mortom is hiding some secrets, and some of them have to do with Andy’s family. I really enjoyed this novel, the debut for Mr. Therme. I couldn’t put it down and I love stories where you have to figure out clues and guess at things. I am thinking there will be another book coming with these characters and I look forward to it. Thanks, Net Galley and Thomas Mercer, for my review copy! 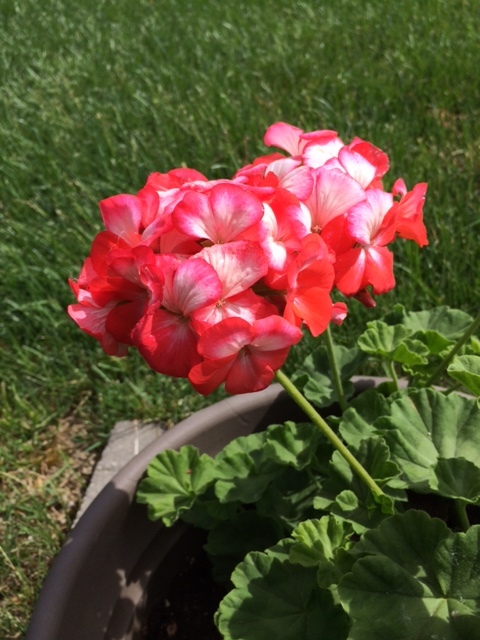 Just wanted to share my “Bolton Geranium” with readers today! I LOVE the history of this unique flower. In the late 1880’s, a young man, Arthur Miner, brought a cutting home from a conservatory to his wife Aurilla. She propagated it and shared it with friends and neighbors. 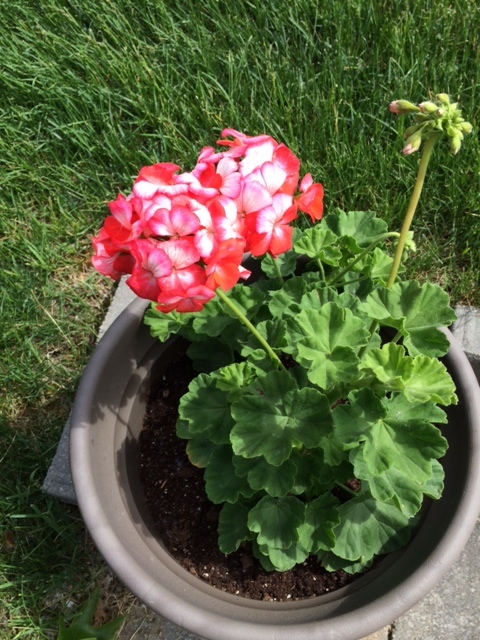 It became known as “the Bolton Geranium” as so many people here in Bolton (MA) had it. Then in 1970, there was only one surviving plant left. Florence Sawyer (a true mainstay of this town) saved it and along with Esther Whitcomb they kept it going and producing. The plant is sold each year by the historical society in town and I was so happy to get two this year! No two petals are alike! 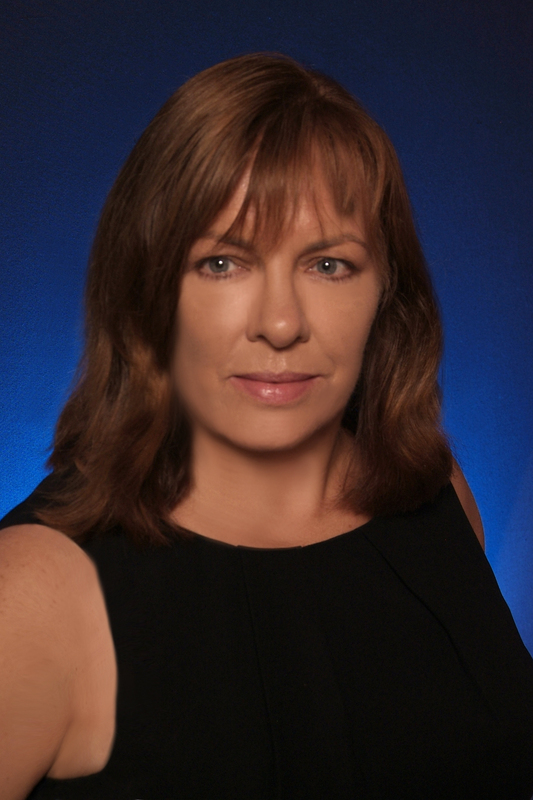 Saturday Snapshot is hosted by Melinda at http://www.westmetromommyreads.com. See her site for participation details! 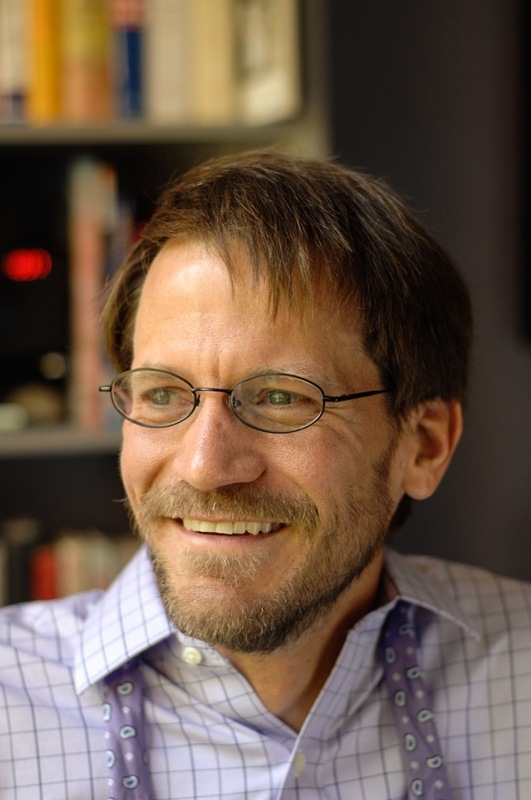 I recently was at a book event at the Concord Bookshop and Robert Wheeler sat near me. When I told him I had heard of his book and planned to read it, he pulled one from his bag and gave it to me as a gift. I was thrilled! This is a beautiful book – coffee table worthy – of pictures of Paris and connections to Ernest Hemingway and his time there writing. For instance, there is a paragraph about Hemingway walking along the Seine as he worked out his plots, and then a picture of a walkway along the Seine. 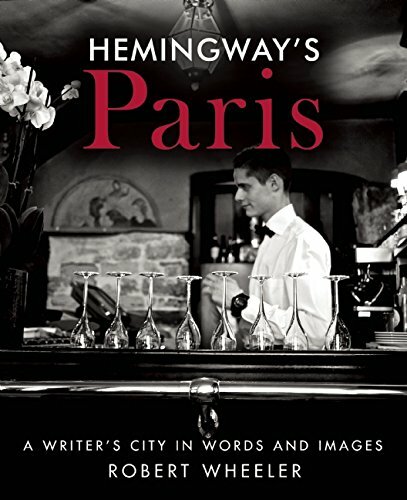 The pictures are beautiful and you can truly get a glimpse of what “Hemingway’s Paris” was like. Loved this book! If you know me, you know I love Paris and one things I like to do is to think about how different famous people walked the same streets, were inspired by the same art, ate in the same cafés, etc. This book was perfect for me! If you love Paris, Hemingway, or both – get this book for yourself and enjoy it at your leisure! Thank you again for my surprise copy – I will treasure it! 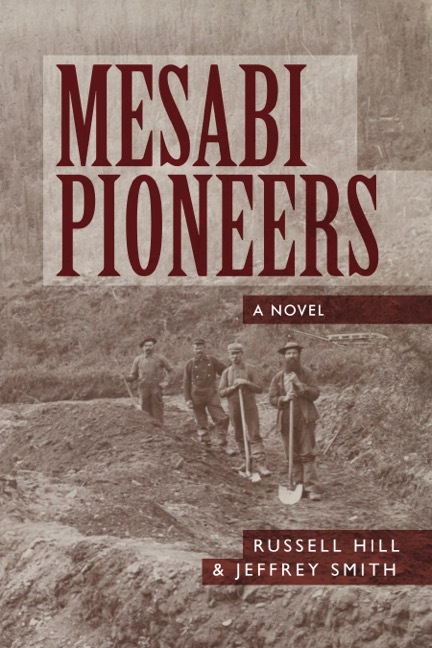 I’m blogging today as part of the Historical Fiction Virtual Book Tour for MESABI PIONEERS. This novel gave me an insight into a period of history that I know little about: the search for iron ore in Northern Minnesota in the 1890’s. Arthur Maki is the main protagonist – a Finnish immigrant who has joined a work crew and hopes to reunite with his wife and young son before long. The group of characters is quite varied, and each has his own personality which is aptly portrayed. The men spend their days mining for ore and seeking new sources of ore – dangerous work. Tensions can be high and personalities clash. Well-written and interesting, this story taught me about the Mesabi Iron Range — something I’m a bit embarrassed to say that I had never heard of! “…a refreshingly enjoyable read… Hill and Smith kindle complicated emotions, important questions and a driving curiosity about Northern Minnesota’s Mesabi Iron Range. The novel’s opening chapters give us a remarkable point of view, a vision of the Iron Range before it was anything like our modern understanding of the place. The size of the forest, the difficulty of travel, the majesty of the Missabe hills before they were opened up and moved like chess pieces: we see all of this in fresh prose. For more information visit mesabiproject.com. Follow Mesabi Pioneers on Facebook and Twitter. Thanks for making me part of the tour and for my review copy! 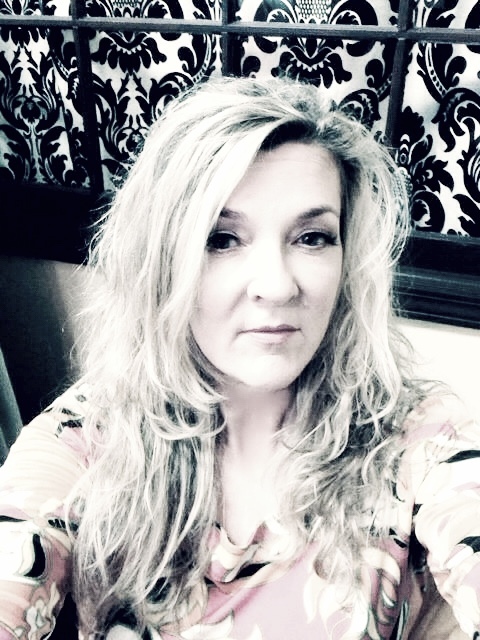 Well — here I am as part of Becky Wade’s new release tour through Litfuse Publicity for A LOVE LIKE OURS. If you know me, you know I enjoy Christian fiction, with a little bit of romance, but it’s not all I read and I have to find it relatable to me. All the summary info is below, but to give you a quick idea – this novel focuses on Lyndie James who reconnects with her childhood best friend, Jake Porter, when she comes to train horses for him. Jake is both emotionally and physically scarred from a tour of duty in Iraq. Will Lyndie break down his defenses to help him feel again? Well, I’m not really doing it justice, because this book was a whole lot more. The other characters really made the book for me, especially Lyndie’s family, and her sister Molly with severe special needs. I loved her neighbor friend. I loved the Porter family. I loved how real these people felt. I loved how it was all about horses (and I’m not even a horse person). Here’s the thing – I think I’m drawn to Christian fiction because it’s so redeeming. There’s often a message that no matter what mistakes you’ve made, no matter where you are in life, no matter how alone or lost you feel, that you are worth saving. Stories with this theme and the theme of self-forgiveness are often my favorite. This one was no exception. Here’s info below on the book and a great giveaway that Becky is hosting (n.b. — sometimes with the free version of WordPress codes are stripped upon post publishing. 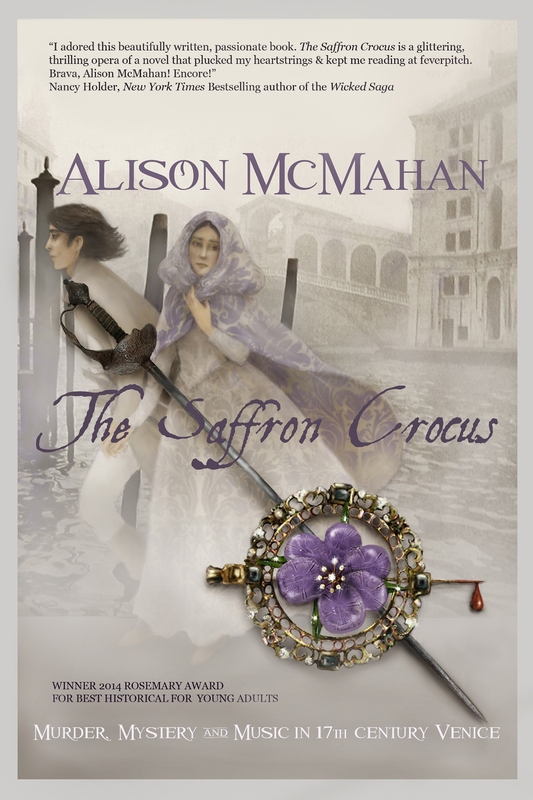 So if something doesn’t link correctly, please look via my twitter feed @BethsBookBlog as I will cross-post). Thank you for my review copy, via Net Galley, and having me be part of the tour! 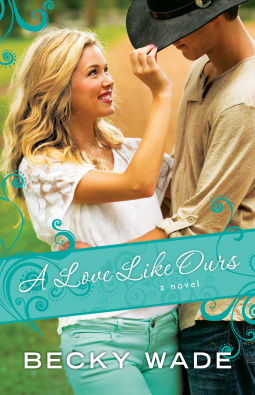 A Love Like Ours (Bethany House, May 2015)Former Marine Jake Porter has far deeper scars than the one that marks his face. He struggles with symptoms of PTSD, lives a solitary life, and avoids relationships.When Lyndie James, Jake’s childhood best friend, lands back in Holley, Texas, Jake cautiously hires her to exercise his Thoroughbreds. Lyndie is tender-hearted, fiercely determined, and afraid of nothing, just like she was as a child. Jake pairs her with Silver Leaf, a horse full of promise but lacking in results, hoping she can solve the mystery of the stallion’s reluctance to run.Though Jake and Lyndie have grown into very different adults, the bond that existed during their childhood still ties them together. Against Jake’s will, Lyndie’s sparkling, optimistic personality begins to tear down the walls he’s built around his heart. A glimmer of the hope he’d thought he’d lost returns, but fears and regrets still plague him. Will Jake ever be able to love Lyndie like she deserves, or is his heart too shattered to mend? And here’s exciting giveaway news! !